SILLY CALVIN LIVES FOR BELLY RUBS! 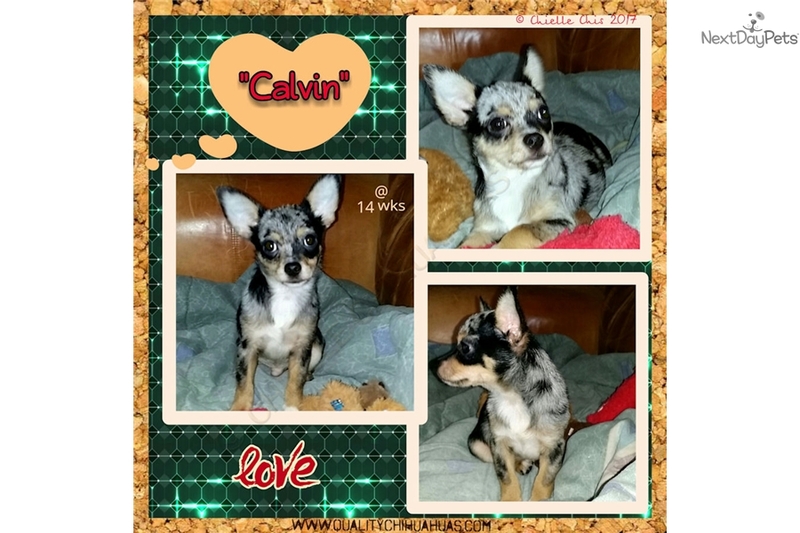 This Chihuahua nicknamed Calvin sold and went to a new family. AVAILABLE -- CHIHUAHUA LOVER BOY! This is CALVIN, a SWEET, silly boy who loves belly rubs, and flops over for one very chance he gets!! Playful, happy, silly, smart, CALVIN would make a wonderful companion!! Located about 45 min. SE of Shreveport, Louisiana, personal pickup preferred but shipping/delivery is available at buyer's expense. CALVIN is charting approx 5-3/4 lbs grown. His fee is $300 (Pet Adoption/Neuter Agmt, Well Bred Companion), includes Ltd core vaccines, health & genetic guarantees, lifetime breeder support & return. I do not breed for profit; I breed out of love of my dogs/breed and this is reflected in my "pet" prices. Even tho my adult Chihuahuas are from the breed's FINEST CHAMPION LINES, I feel the addition of a healthy, well bred companion should not require a loan or "financing"; I would rather a pup's new family spend that money on their new furry family member! If you want to show/breed your Chihuahua, yes, you will be a premium for full AKC registration, but in my view there is simply no good reason to charge such high prices for a family pet. WHAT DOES THIS MEAN FOR YOU? If you are looking for a WELL BRED, HEALTHY, BEAUTIFUL, TOP CHAMPION BLOODLINE CHIHUAHUA AS A COMPANION ONLY, AT A FAMILY FRIENDLY PRICE, YOU HAVE COME TO THE RIGHT PLACE! I am EXTREMELY CONFIDENT you will not find anywhere near the quality of my breeding anywhere else at such affordable prices. My puppies are not "pet" bred Chihuahuas produced by generations of "pet" breeders with unknown/;poor quality "pet" pedigrees ... MY ADULT DOGS HAVE TRULY EXCEPTIONAL USA AND EUROPEAN CHAMPION LINES. 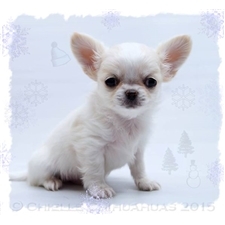 You can see more of my beautiful Chihuahua family @ www.qualitychihuahuas.com! DON'T SETTLE FOR LESS OR PAY MORE! CHOOSE A QUALITY BREEDER YOU CAN TRUST!